The secret is out! The key to being beautiful forever lies with empowering women to change their skin destiny with SK-II’s iconic Facial Treatment Essence, nicknamed “miracle water” by its loyal fans for its miracle ingredient, Pitera™. Come experience the Magic Ring, SK-II’s latest skin counseling tool, and the showcase of SK-II celebrities worldwide that have changed their skin destiny, at the Pitera™ House. 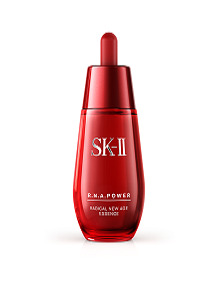 Visitors can also find out more about the science behind SK-II’s award-winning anti-aging STEMPOWER series. From 7 – 14 October 2014, visit the SK-II Pitera™ House for a complimentary Magic Ring skin consultation. SK-II will also be conducting special Skin Destiny workshops at the SK-II Pitera™ House. Register for our Skin Destiny workshop at AEON Mid Valley SK-II counter* on one of the dates below, to discover how to be beautiful forever by changing your skin destiny. There is a registration fee of RM200 per person (fully redeemable on SK-II products). Participants will get to enjoy exclusive promotions. Non SK-II Crystal Club members who sign up at the workshop will receive door gifts worth RM200*. *To register, please visit us before 10 October 2014. 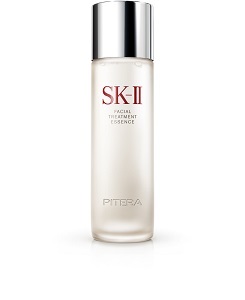 There will also be a Friend-Bring-Friend promotion where members will receive an SK-II Facial Treatment Cleanser 20g for every friend that they bring along to purchase the Pitera™ Essence Set and register as a new Crystal Club member**. There will also be a host of activities and exclusive promotions for all participants. **Promotion limited to a maximum of 2 friend referrals per Crystal Club member. The SK-II Pitera™ House will be located at The Square @ Publika Shopping Gallery, Solaris Dutamas, Sri Hartamas from 7-14 October 2014 and it will be open from 10am-10pm.